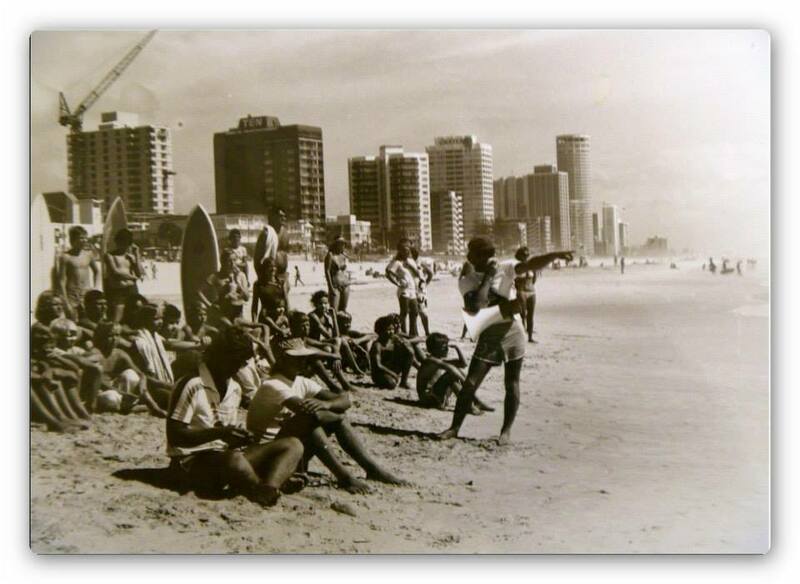 Holidays at the Gold Coast in the 1960s and 70s, what a great place to be! 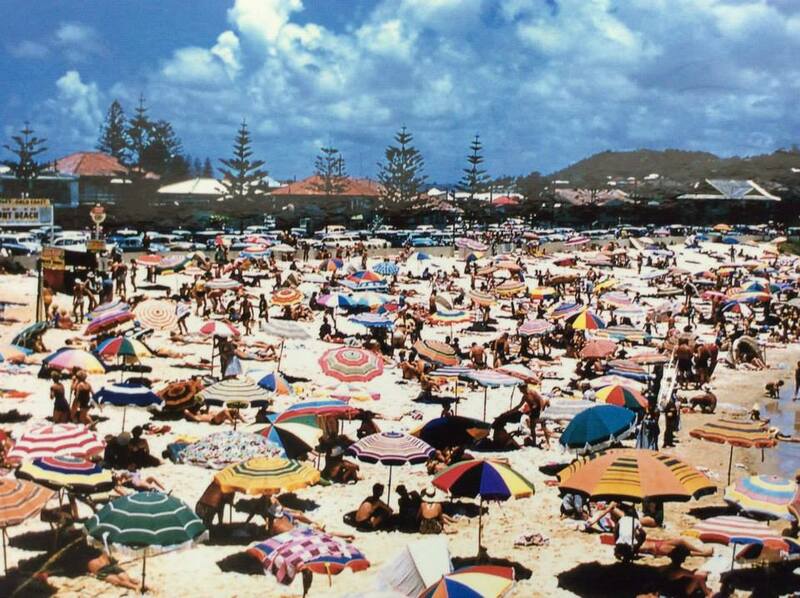 The idea of a holiday at the Gold Coast in the 60s and 70s appealed to so many Australian families, offering a variety of accommodation for variable budgets. You may have holidayed in a glitzy motel, one of those ubiquitous U shaped apartments clustered around a large in ground swimming pool on the glitzy Surfers Paradise strip. Or maybe a preference for something more sun & surf in a typical fibro beach shack, stacked to the brim with surfboards, frisbee’s and every beach game known to man. 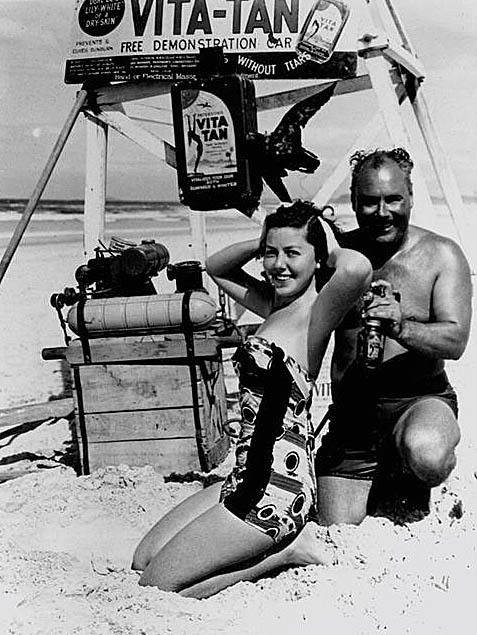 Another Australian favourite was the reliable vintage caravan loaded with enough food to last for a month, deck chairs set up with your own little outdoor utopia or simply packing the car with the large family tent, camping right next to the beach- no wonder the coast was so popular. 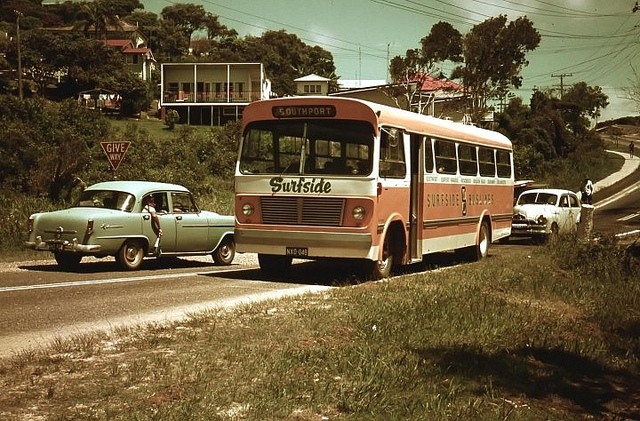 In the post second world war real estate boom, Brisbane referred to the ‘South Coast’ as the “Gold Coast”. 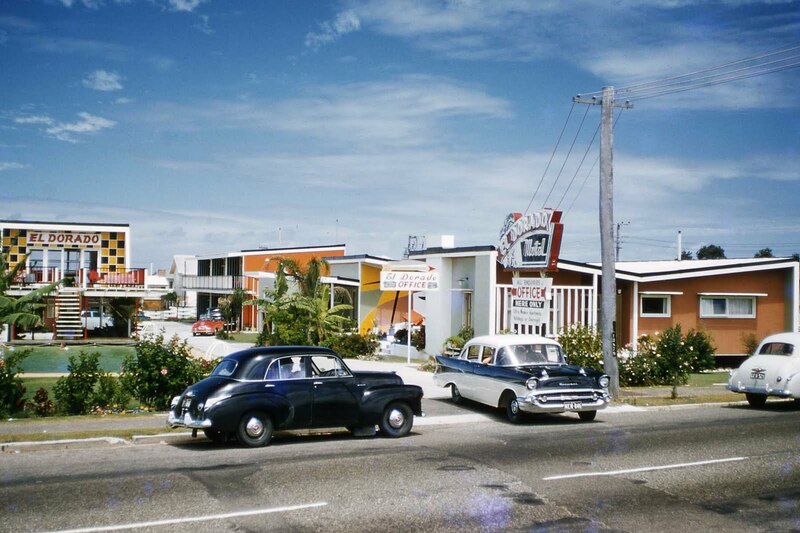 This name was officially taken up in in late 1958 and the then documented by the Queensland government in 1959. Initially explored by timber getters, it was subsequently settled by cattle stations which later evolved into dairy and mixed farming, and by the start of the twentieth century to become a vacation destination. 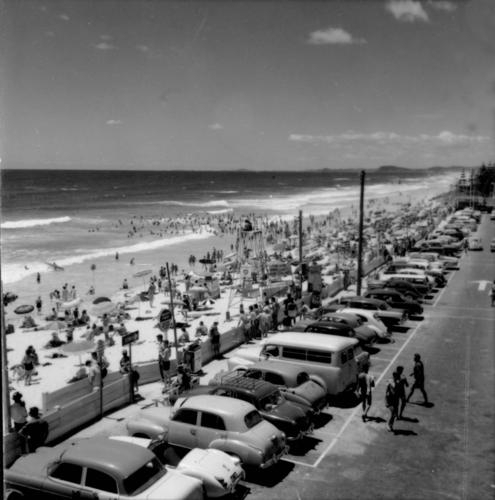 Whilst the coast was given its label the “Gold” Coast because of the real estate boom it also referred to this because of its glorious golden white beaches and fine sunny weather. What would your holiday be without a touch of holiday shopping! 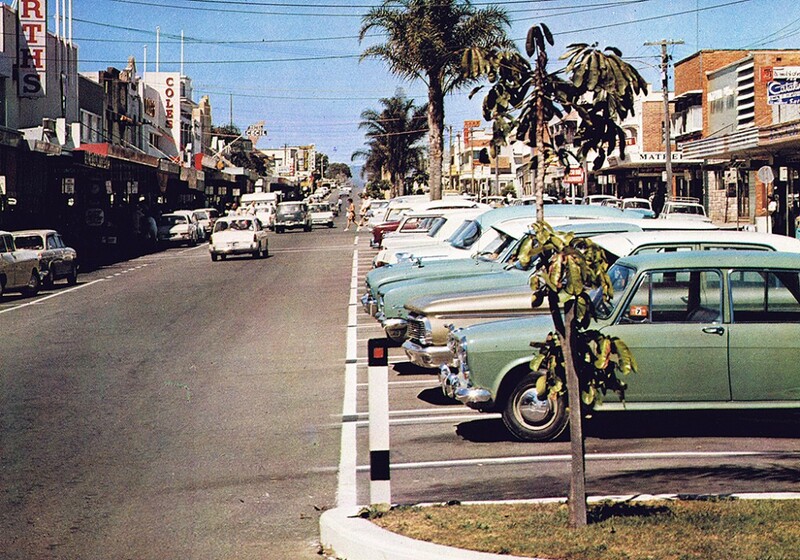 If you’re lucky enough to be at the Gold Coast looking for a vintage shopping fix, check out our list of Vintage, Antique and Retro shops to find vintage Clothing, furniture and other vintage related services .. 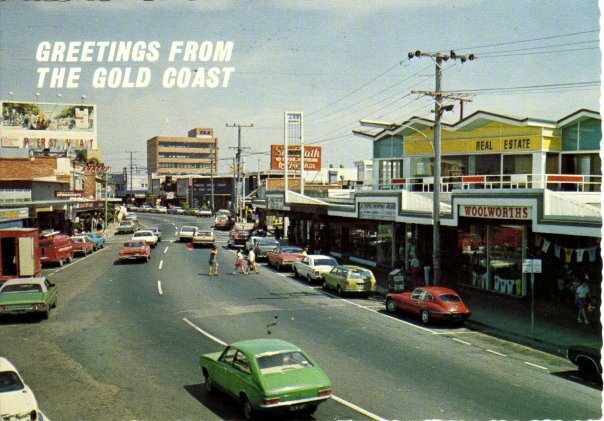 This entry was posted in historical photographs and tagged 10 vintage photographs, gold coast in the 60's & 70's, gold coast vintage, Holiday at the Gold Coast, holidays at the gold coast, QLD - gold coast, surfers paradise holiday, vintage post card. Bookmark the permalink.